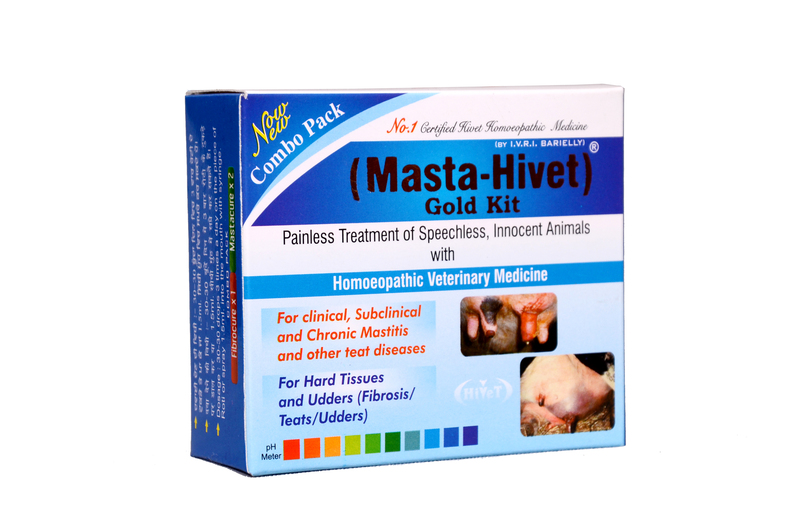 MASTA-HIVET Gold kit is complete treatment for mastitis, acute chronic and fibrosis. For clinical, Subclinical and Chronic Mastitis and other teat diseases. 30-30 Drops 3 times over Roti or 1.5 ml. Directly in mouth.